In the opening trailer, we see a character we though died in the first Black Ops. I read pages of theories to see if any of mine match and none have. For those of you don’t know the main character Mason watch as his friend Woods tackles a man out a window and explodes. Another thing to point out is that a lot of what Mason saw was a lie, because he was brainwashed into seeing things that weren’t there. This was a huge revelation at the end of the game. Some things we saw never happened and Mason was implanted to secretly work for another faction without his knowledge. All this leaves me to believe that Mason never saw Woods die. Maybe he pushed the man out the window who exploded and Woods was never in the same room as Mason at that time. It’s like those movies where you realize that everything was a dream at the end. Woods wasn’t fake; he was a character in the game that existed. I’m just saying that if Mason saw him die then there might be a chance that he didn’t actually see him die. But now to the game itself, it looks great. It’s all future warfare. The guns and equipment are all enhanced in a way that is believable. I didn’t read much on the story of the game because I didn’t want to spoil it for myself, but this franchise is smart in its approach and rarely disappoints. A fan favorite, Zombies Mode, is back and better than ever. You and 3 other friends can try to survive with hordes of zombies coming after you in various levels. With DLCs coming out almost monthly, the gaming experience never gets dull. 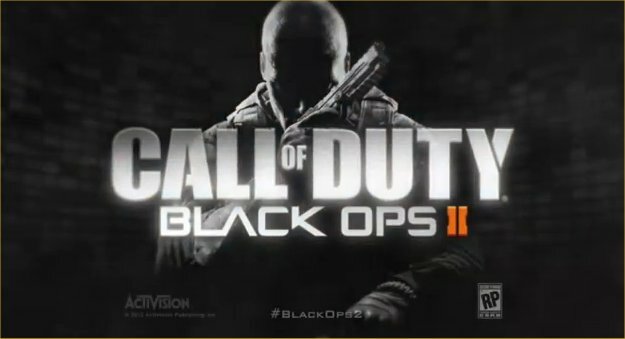 I will be purchasing Black Ops 2 when it releases November 13 of this year and write a full review on the game and its story.